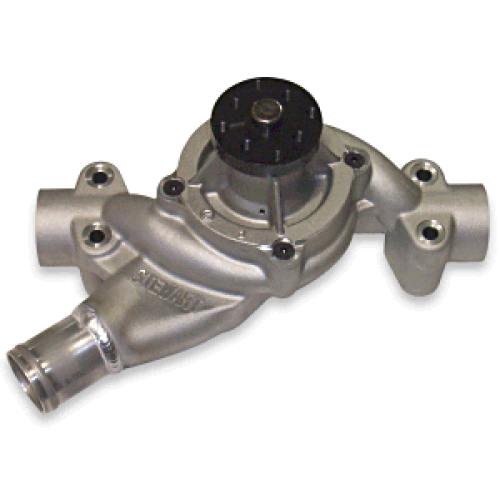 This pump uses less than two (2) Horsepower at 50 GPM. The Chevy Pro Series offers -16 AN side outlets while still using stock mounting holes, allowing all or some of the water to the sides of the block and heads. 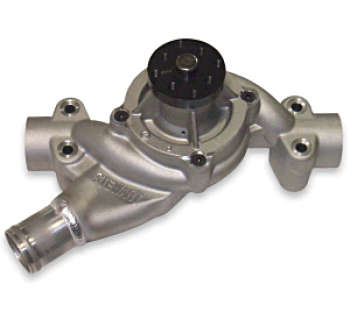 The 3/4" shaft and 3/4" billet hub allow the use of a mechanical fan.